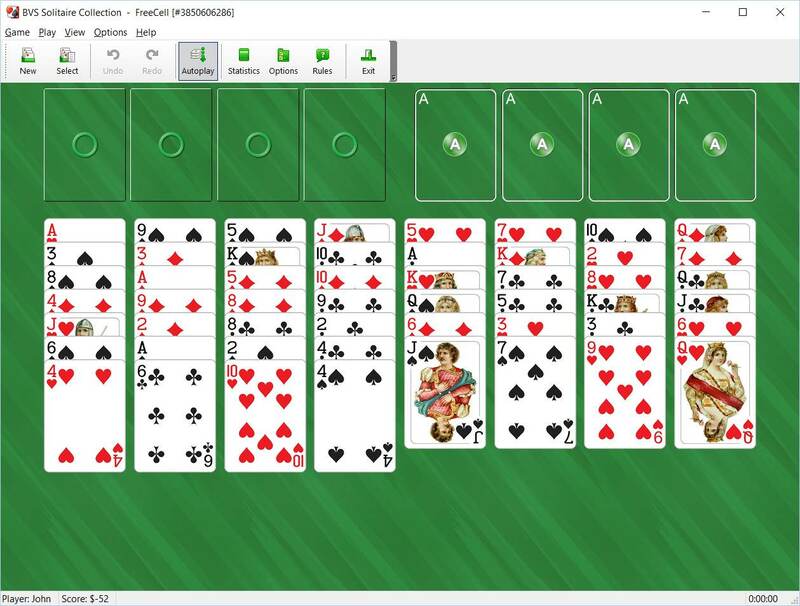 Freecell is an extremely addictive solitaire card game invented by Paul Alfille. It is fun and very skill-dependent. Nearly every game (approximately 99.99 %) of Freecell Solitaire can be won with perfect play. This makes Freecell card game much more interesting and popular than solitaire variations like Klondike, where luck is a large factor in the game. With FreeCell, winning depends mostly on skill.